The proposals announced yesterday add another £4.2 billion to the already committed £5.2 billion of rail investment for 2014 to 2019. This makes a great deal of sense, since it consolidates the electrified network. The reopening of Oxford to Bletchley as an electrified line from the outset is a welcome surprise. In addition to these are the extension of the GW proposals to take in Swansea, the Welsh Valleys, the Windsor, Henley, and Marlow branches, and the connecting link between Acton and Willesden. Inevitably, however, these schemes point to fresh possibilities. Why not electrify from Leamington to Birmingham, and the routes out of Marylebone, including those to Aylesbury and Banbury? This would re-create a second electrified route between London and Birmingham. Adding in the short stretch of former Great Western main line from Old Oak Common to Northolt Junction would then make it possible to reinstate the old GW main line service from Paddington to Birmingham, taking the pressure off overcrowded Marylebone. There are other possibilities as well. Bristol-Birmingham-Derby makes sense as an electrified route. And why not reinstate and electrify the Peak Forest line from Ambergate to Buxton, thereby re-creating a second main line from London to Manchester. With two main lines between London and Manchester and London and Birmingham, what need would there be for HS2? The projects also casts further doubt on the Inter-City Express project. With London to Swansea fully electrified, what need is there of bi-mode trains when conventional EMUS will do the job perfectly well? And with proposals for converting the class 220/221 to dual mode or straight electric traction, there would appear to be little requirement for more. Uncertainties of this kind suggest also that a more prudent rolling stock option would be to purchase more locomotives and hauled vehicles. This gives both flexibility and spare capacity at relatively lower cost, since older vehicles such as the mark 3 fleet can be used to provide back up at peak periods. The proposal for 25kv overhead electrification between Basingstoke and Southampton has probably raised a few eyebrows because the line is already electrified on the third rail system. Conversion of the Basingstoke - Southampton route from 750 V DC third rail to overhead electrification will 'test the business case for the wider conversion of the third rail network south of the Thames'. The third rail system is of course an anomalous legacy. It is inefficient and special measures are needed to keep it running in ice and snow. On the other hand, maintenance costs are low, and it is not prone to the widespread dislocation that occurs when overhead wiring is damaged, which is not so very uncommon. With the need to provide additional clearances, the cost of conversion could be high. The figures are worth establishing but this proposal sounds like whim rather than well-considered policy. The changeover costs on the system as a whole would be astronomical. Even re-electrification between Basingstoke and Southampton would be problematical. Unless both systems of electrification are to remain in place for the foreseeable future, dual voltage trains would have to run out of Waterloo on services to Southampton and Weymouth, which sounds expensive and inefficient. Even with the most carefully planned and phased changeover, the Southern would be plagued with two systems of electrification for a decade or two. It is hard to see how this could ever be justified. Whilst less than ideal, the class 92 locomotives could be used in third-rail mode south of Basingstoke, and it might be possible to boost the power supply with additional feeder stations along the route. Looking at the overall picture, this is welcome news. 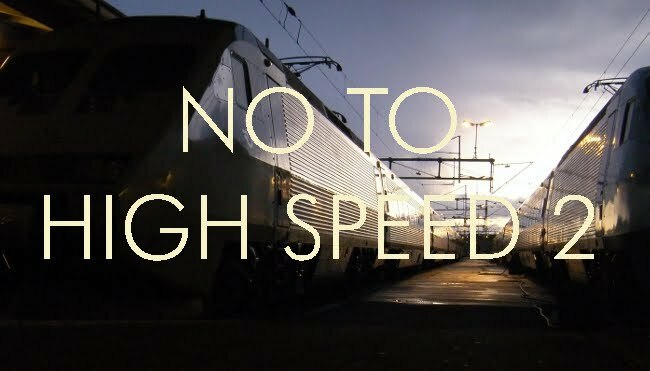 But it damages still further the business case for HS2. As suggested above, it would be a better investment to consolidate the electrified network so as to eliminate diesel traction south of Manchester and east of Bristol, which is where the vast majority of the population live and work. The clearances for Basingstoke to Southampton should be fine, as they have just undertaken works to allow the larger containers to travel along the route and NR probably have a policy of allowing for the provision of overhead cables on all new bridge/tunnel projects. Secondly the new(ish) trains (class 444's and 450's) on the SWT network are capable of duel voltage with minor modifications. Therefore there is no need to run a duel power supply system (that and it is not very practical other than for short distances). Also given that it is apparently cheaper to replace 3rd rail with overhead cabling at the end of the end of its working life expect more to follow. Especially give the power loss of the third rail system and the added costs this incurs. There is also some discussion as whether an increase in line speeds under the wires from 100 to 110mph would be possible and if the freight diversion routes from Southampton to Reading (Via Salisbury) will also be electrified in due course. Bi-modal trains would still be required, as more routes become partly electrified (as no electrification route would be end to end from day one) it makes sense to have a number of these trains to maximise the use of the cables that have been installed. This may mean that they get passed along as one scheme is completed, but there will still be a need for some time and what about services (such as to the Cornwall from the GWML or Northern Scotland from the WCML or ECML) for which there is a low priority for electrification, but for the first part of the route is (or will be) electrified? I can see the point of AC electrification but if you go to Southampton you might as well go all the way to Weymouth otherwise your left with this almost third rail island beyond to Weymouth and then cascade the DC equipment to Wokingham-Redhill, Ore-Ashford or the Uckfield Branch none of which are major enough to justify electrification but would be better than the scrap prices your going to get for the kit. I think the DC system has something like 10% power loss vs 5% or less for AC so I should think that even hauling around all the Dual Voltage kit will end up being more efficient than DC. Having been stuck in a forest for five hours a couple of weeks ago due to a fault with the overhead wires, I am not totally convinced it is so very superior to third rail.